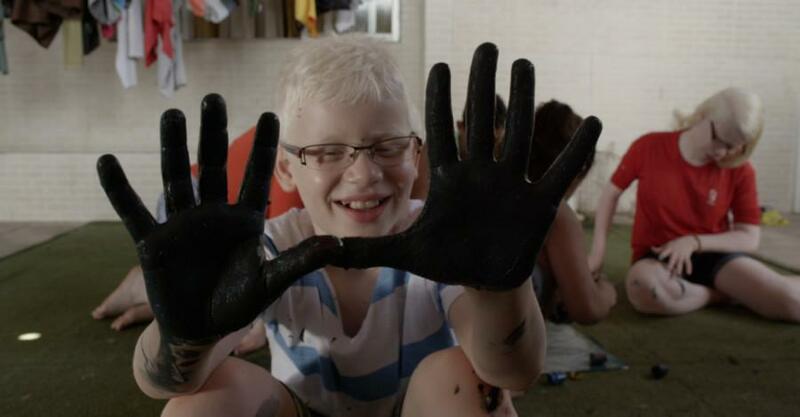 This is the life of Kauan, an 11 year-old albino boy. Born to black parents, Kauan describes in a playful, spontaneous way his day-to-day routine with his atypical family, as he has five siblings: two albino ones and three black ones. Even with all of his condition’s limitations, he breaks barriers and inserts himself in the abundant black local culture of his home town. LIVIA PERINI (Vitória, Espirito Santo, BRASIL, 1981) es una galardonada narradora y cineasta asentada en Nueva York que ha dirigido programas de televisión, documentales, cortometrajes y comerciales para clientes como HBO, MTV, Nestlé, Microsoft, Visa, Motorola y otros. Antes de mudarse a Nueva York, dirigió las dos campañas de contenido de marca digital más grandes de la World Cup’s 2014 para los patrocinadores principales del evento. También creó y dirigió una campaña cinematográfica que recaudó 1,8 millones de dólares para el Hospital de Câncer de Barretos, uno de los hospitales de cáncer infantil más grandes de América Latina. Ha trabajado para HBO Brasil y MTV Brasil como directora de fotografía, productora y escritora. Además del trabajo comercial, encuentra tiempo y dinero para filmar sus propios proyectos. 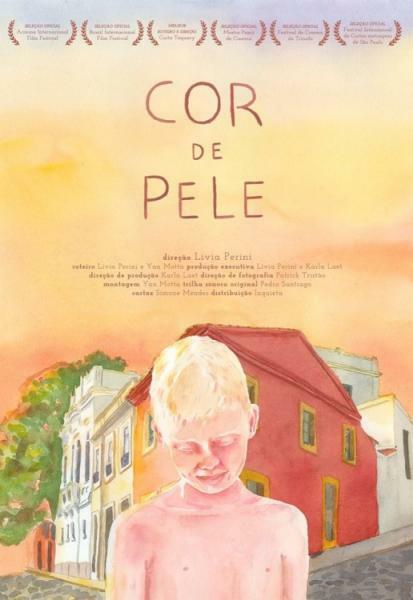 En 2010, viajó a Cuba para filmar su primer proyecto personal, "Entre Los Muros", y en 2014 filmó "Cor de Pele", estrenado en 2018 en festivales de todo el mundo y ganó varios premios, incluido el premio al mejor documental y el premio del público en el Boston Internacional Short Film Festival y el premio del público en el São Paulo Film Festival. En 2015, Livia se mudó a Nueva York para producir y codirigir el galardonado programa de televisión "Rainha da Cocada". Está inspirada en esta experiencia en televisión y actualmente está buscando nuevas oportunidades para explorar las muchas posibilidades en esta área. LIVIA PERINI (Vitória, Espirito Santo, BRAZIL, 1981) is an award winning Brazilian-born and New York-based storyteller and filmmaker who has directed TV shows, documentaries, short films, and commercials for clients like HBO, MTV, Nestlé, Microsoft, Visa, Motorola, and others. 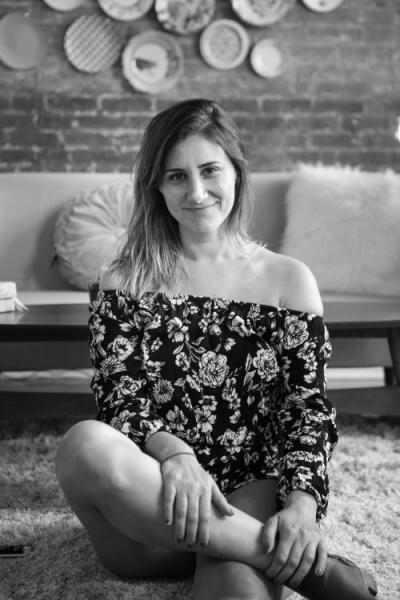 Before moving to New York, she directed the 2014 World Cup’s two largest digital branded content campaigns for the main sponsors of the event. She also created and directed a film campaign which raised $1.8 million for the Hospital de Câncer de Barretos, one of Latin America’s biggest child cancer hospitals. She has worked for HBO Brasil and MTV Brasil as a cinematographer, producer and writer. In addition to commercial work, she finds time and money to shoot her own projects. In 2010, she flew to Cuba to film her first personal project, "Entre Los Muros", and in 2014 she shot a much mature and sensitive short doc called "Cor de Pele", which premiered in 2018 in festivals worldwide and won several awards, including best documentary and audience award at the Boston Internacional Short Film Festival and audience award at São Paulo Film Festival. In 2015, Livia moved to NY to produce and co-direct the award winning TV show "Rainha da Cocada". She is inspired by this experience in television and is currently looking for new opportunities to explore the many possibilities in this area.